This list is a guide for the gardener of any midwest garden, including our own club’s train station garden. It was compiled by some DPGC members years ago from a variety of gardening articles. 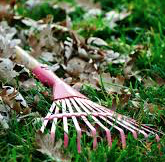 Remove mulch, leaves and debris the month after hard freezes have concluded. Prune back butterfly bushes, ornamental grasses and late blooming clematis. Trim Endless Summer hydrangeas down to first green leaves. Begin planting perennials, hardy ornamental grasses, and roses. In late April or early May, fertilize trees/shrubs, except for new ones. For new plants, wait until root systems reestablish. Remove spent flowers of spring bulbs. However, allow foliage to wither before removing. Work compost into soil in areas for new plants. Wait until at least May 15 before planting annuals. Many wait until Memorial Day weekend. Prune and fertilize roses when forsythias bloom. Prune black, dead stems on roses and cut away branches growing in the center. Spray ornamental crab trees if apple scab has been a problem. Apply fungicide to peonies if you had a problem in the prior year. Plant summer/fall flowering bulbs like dahlias, cannas, tuberous begonias, gladioli. Add slow release fertilizer to containers before planting. Prune spring flowering shrubs and ornamental trees after they bloom. Set up soaker hoses, apply animal repellant, plant stakes, and labels, if you like. Apply mulch later in the month after the soil has warmed. Gradually move houseplants outside to protected areas when night temperatures are above 55 degrees. Monitor all plants for pests and diseases. Apply weed retardant before weeds appear. Feed all roses in early June, 4 to 5 weeks after the first feeding in May. Prune back sedum to minimize flopping in the fall. Fertilize annuals in containers, baskets and widow boxes with quarter strength balanced fertilizer every 7 to 10 days. Don’t fertilize your lawn in hot weather. Wait until cooler weather in the fall. Deadhead regularly to encourage new flowers. Mulch all garden beds after weeding and watering. Apply 2 to 3 inches in depth. Treat Japanese beetle grubs two times, two weeks apart. Cut sedum in half by July to prevent fall flop. Earlier in the spring, pinch back mums as soon as new growth is 4 to 6 inches tall. Pinch 1/2 of new growth at the top of every shoot and continue until July 10th-15th. Monitor roses for fungal blackspot. Monitor also for insects. Spray insecticide soap if necessary. Late in the month, fertilize roses for final time with liquid 20-20-20. Deadhead annuals, perennials, and roses by cutting back to the first set of 5 leaflets. Photograph your beautiful garden. Be proud and send your pictures to the website coordinator for posting on this website. Cut lawn at high level during the hot summer. Monitor foliage of densely planted areas for fungal attacks due to cool, damp weather. Look for a powdery residue. To promote a second late summer flowering, cut back or remove spikes from early blooming perennials such as catmint, geraniums, salvia, and delphiniums. Continue to water, weed, and monitor for insects, especially for Japanese Beetles. No pruning is needed, but continue to deadhead. Allow certain dried flower heads to remain standing into the fall to add winter interest. Examples include cone flowers, sedum, black-eyed susans, if these do not show evidence of fungal activity. Remove dead stalks of lilies by gently pulling. Daylilies can be divided and replanted before the end of August. Do not fertilize roses after August 15. Fertilize container gardens 2 times this month. Apply grass seed to the lawn, if needed, late in the month. 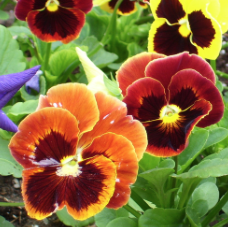 Change containers to “cool” bloomers, such as pansies, ornamental cabbage, kale and mums. Do not cut perennials back until their leaves have lost all green color. Continue to monitor for fungal black spot and powdery mildew. Peonies can be planted now into early fall. Plant trees and shrubs. No pruning until later. Apply broadleaf herbicide to the lawn. This will help deter dandelions in the spring. Begin planting bulbs near the end of the month..
To keep mosquitoes in check, make sure there is no standing water on your property. If you have small ponds or fountains, use mosquito dunks, which are donut-shaped cakes that prevent eggs from hatching. 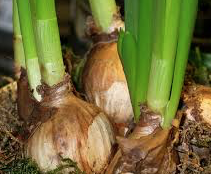 Continue bulb planting, fertilizing with bone meal or super-phosphate mixed into the soil. If you didn’t fertilize in September, fertilize your lawn now. Continue to mow the lawn. 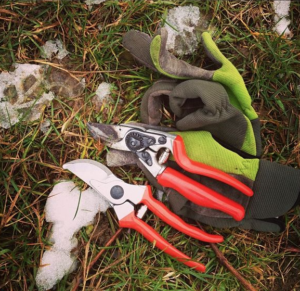 Do not prune trees or shrubs now. Do prune Annabelle Hydrangea just after its flowers fade in fall. Slowly bring in houseplants with all brought in by October 15 — but check them first for pests such as whitefly, thrips, and mealybugs. After a killing frost, remove all annuals from your garden. This helps to keep diseases in check. 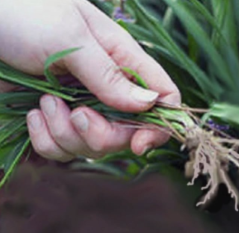 Herbaceous plants should be cut to the ground after a freeze. These plants include astilbe, monarda, daylilies, peonies, and hosta. Do it soon, because leaves are so slimy after they freeze. Do NOT mulch. Peonies should only be transplanted or divided in the fall when they are dormant. Semi-herbaceous plants should be cut back to 2 – 3 inch green basil leaves at the base. These plants include rudbeckia (black eyed susans), echinacea (coneflowers), shasta daisies, and penstamon. Do NOT mulch. Clear out damaged wood of Annabelle Hydrangea after the leaves fall. Evergreen plants like coral bells (heuchera), moss phlox, and candytuft SHOULD be mulched and not cut back until next spring. Cut shrub roses to about 2 feet after a hard freeze and DO mulch them in early December. Cut back dead parts of roses next spring. Cut iris to about 6 inches and do NOT mulch. They like dry feet. For perennials planted after early August, DO Mulch, after soil is frozen, to insulate roots. Dig up dahlia bulbs and put them in vermiculite in a bag in garage. Peat moss seems to make them rot over the winter. Dig and divide dormant daylilies and hostas to the size you want them to be next summer. Spray all boxwood with an anti-desiccant to keep them from drying out from winter winds, especially on the west side of the house. It is best to apply before a hard freeze occurs and on a day the temperature is well above freezing. As with all products, read the package directions carefully before using. December through March. ..dream of spring and the changes you plan to make to your garden next year! If you have items you would like to suggest for inclusion on this list, please contact the Website Coordinator.